To say that the bourbon industry is in the midst of a boom is an understatement. With more than $8 billion in global sales (up from just $376 million in 2002), bourbon has evolved from being the “Southern Gentleman’s drink” to replacing Gran Cru Bordeaux and 40 year-old Glenfiddich as the must have spirit – and if you disagree, try to get your hands on a bottle of Pappy Van Winkle! Behind the boom is a very close knit fraternity of master distillers whose lineages trace back to the very beginnings of bourbon production. These are the master distillers that dutifully guard the standards set forth by the originators whose names grace millions of bottles of bourbon. These are the 7 kings of Kentucky bourbon. Harlen Wheatley was named Master Distiller of Buffalo Trace in 2005, becoming the sixth Master Distiller of the operation since the Civil War. Despite skyrocketing demand, Harlen has managed to maintain the integrity of Buffalo Trace and all of the legendary brands within its portfolio. His tenure hasn’t been without challenge; it remains to be seen how Harlen will stay the course after the death of Master Distiller Emeritus Elmer T. Lee in 2013. Elmer T. Lee’s signature bourbon remains one of Buffalo Trace’s signature products thanks to the ability of Mr. Lee to find and bottle the most select barrels for his bourbon. Without Elmer’s palate, refined after nearly three decades of production. There are also rumors that amid high demand,W.L. Weller is being discontinued, although Buffalo Trace President Mark Brown has denied such rumors. Amid these challenges is the wildly successful Van Winkle line. Julian “Pappy” Van Winkle, for whom the coveted bourbon is named, started selling whiskey in 1893 as a salesman for W. L. Weller. He would rise to the presidency of the company, and became the first in four generations of Van Winkle bourbon-making, followed by his son, Julian Jr. Julian Van Winkle Jr. ran operations at the Stitzel-Weller Distillery up until its sale in 1972, when he brought a pre-Prohibition label called Old Rip Van Winkle back to life using whiskey stocks from the old Weller Distillery. Within the past decade, Buffalo Trace has won more awards than any other distillery in the world, including an unmatched seven “Distillery of the Year” titles. Such performance can largely be attributed to Mr. Wheatley, a legitimate king of Kentucky bourbon. 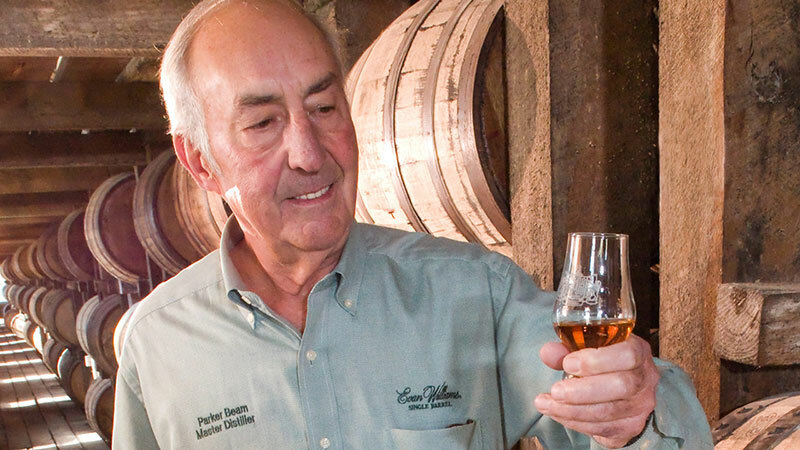 James “Jimmy” Russell – the Buddha of bourbon – is the master distillers’ master distiller. No distiller in the history of American bourbon has served as long as he has. His recent 60th anniversary celebration coincided with the opening of a brand new 9140-square foot visitors center in 2014, and brought out the biggest names in bourbon. Even Kentucky’s Governor, Steve Beshear came out to toast Jimmy! Under Jimmy Russell’s tenure, Wild Turkey has endured more changes in the past decade as the brand has since its birth in 1940. The demand for the “kickin’ chicken” from new markets and younger drinkers has led to an expansion of the original Wild Turkey bourbon into flavored whiskeys and liqueurs. Wild Turkey American Honey came on the scene in 2007, shortly before the company was acquired by Campari Group. Later, in 2012, Jimmy and his team released Wild Turkey Spiced, the worlds first ever spiced bourbon. Whatever your take on flavored bourbons, these new additions have taken Campari’s stock to new heights. While it is speculated that these moves into the flavored bourbon arena where at the behest of Campari, Jimmy Russel has continued to do his thing on the traditional side of the house. Wild Turkey 81 proof, Wild Turkey 101, and Wild Turkey Traditional remain the number 1 premium Kentucky straight bourbon whiskeys on the market. 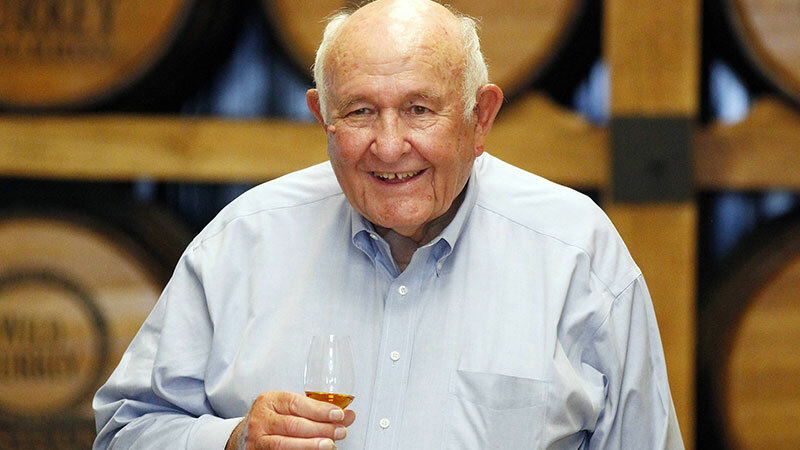 In recognition of his contribution to American heritage, Jimmy Russell has been honored with his namesake bourbon – Russell’s Reserve, and a limited edition mingling of 13 and 16-year-old whiskies, called Wild Turkey Diamond Anniversary. Jim Beam has been in the news lately as Suntory, the Japanese spirits giant, acquired Jim Beam, Inc for $13.6 billion in cash. Despite the acquisition, Fred Noe and the rest of the team are expected to stay in place and keep doing what they have been doing for generations. We know that Greg Davis is the current Master Distiller for Makers Mark, and his absence from this list is in no way pejorative. Greg has had a distinguished career at Tom Moore prior to his current position, and we look forward to seeing how his current achievements will pan out. …But Greg doesnt have a tattoo of George Washington’s still on his arm. David Pickerell does. 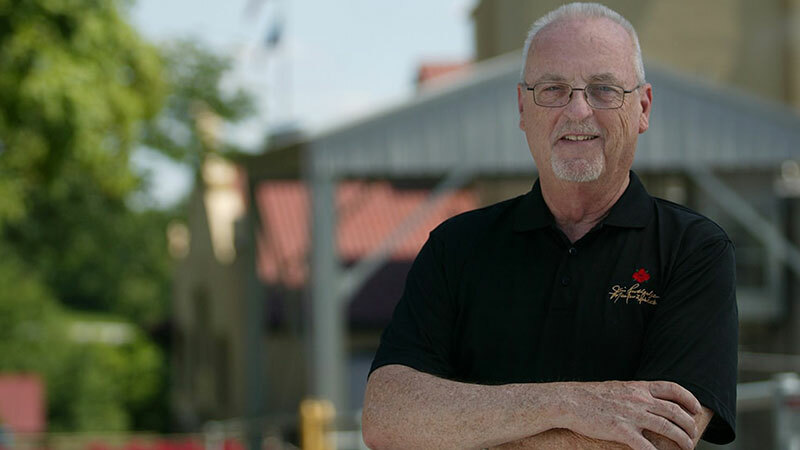 Dave served as the Master Distiller for Makers Mark from 1994 until he departed in 2008. During his time there, he grew Makers Mark from a craft distillery into a 1.3 million case per year operation. His dream is coming true. On the heels of the bourbon boom, hundreds of craft distilleries – from California to New York- have launched in the past few years. 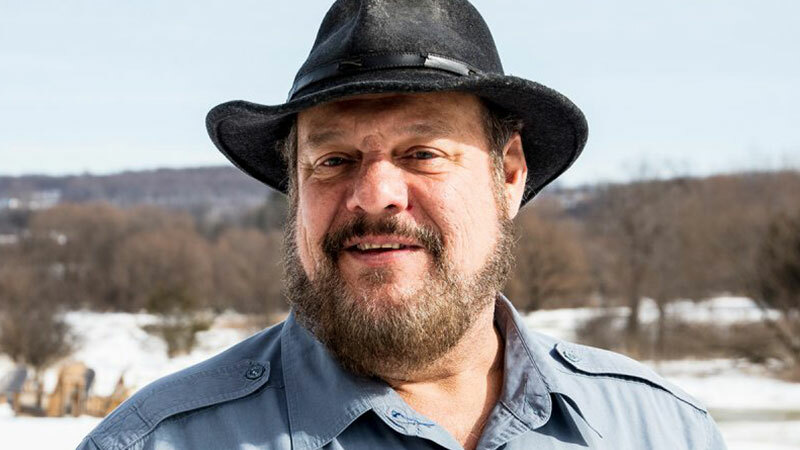 David Pickerell has been a positive force behind this boom with his push to bring down the cost of equipment for micro-distillers, as well as his willingness to work behind the scenes with individuals wanting to try their hand at producing whiskey. 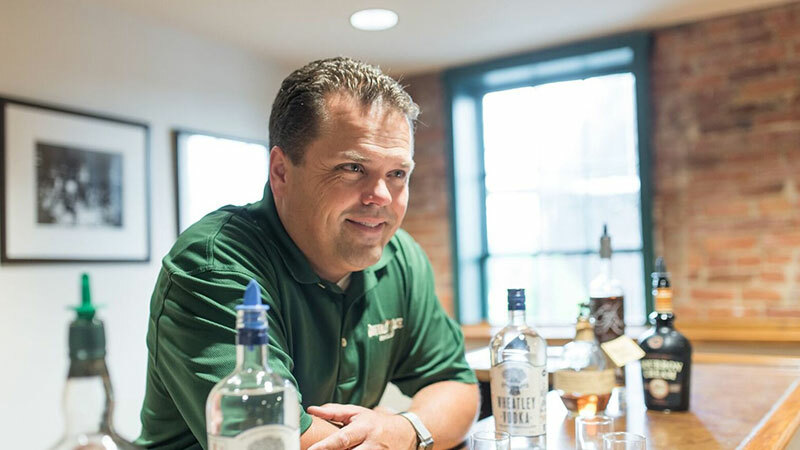 He teamed up with WhistlePig whiskey out of Vermont to serve as master distiller for the operation, and currently serves as a Managing Member and Senior Consultant at Oak View Consulting, LLC providing consulting services to the craft beverage alcohol industry. He is also behind the scenes serving as the Master Distiller for Hillrock Estate and George Washington’s Distillery at Mount Vernon, where he oversees the commercial production of George Washington’s Rye Whiskey. Because of David’s work, Makers Mark has become a powerhouse in his own right, and untold numbers of craft distillers have been able to make their dreams of producing fine whiskeys come true. Chris Morris is literally a rockstar in the bourbon community. When he speaks, the entire industry listens! When he headlines a tasting event or lecture, the rooms are filled to seating capacity. If bourbon making is part art and part science, Chris Morris is Picasso meets Einstein! It is from Chris Morris (courtesy of the Woodford Reserve Bourbon Academy that he runs) that we have come to understand the 5 sources of bourbon flavor. It is Chris Morris who pushed for the US Senate’s approval of September as National Bourbon Heritage Month – an observance in the United States that calls for celebration of bourbon as America’s “Native Spirit”. Suffice to say, I am a big fan! Chris Morris joined Brown-Foreman as an intern in 1976 at the ripe old age of 16 and worked his way up to Master Distiller in 2004. On his way to becoming a master distiller he performed in every capacity, from sweeping the floors to working in the company’s lab breaking down the chemicals in alcohol. His hard work shows, and has paid off handsomely for the brand. 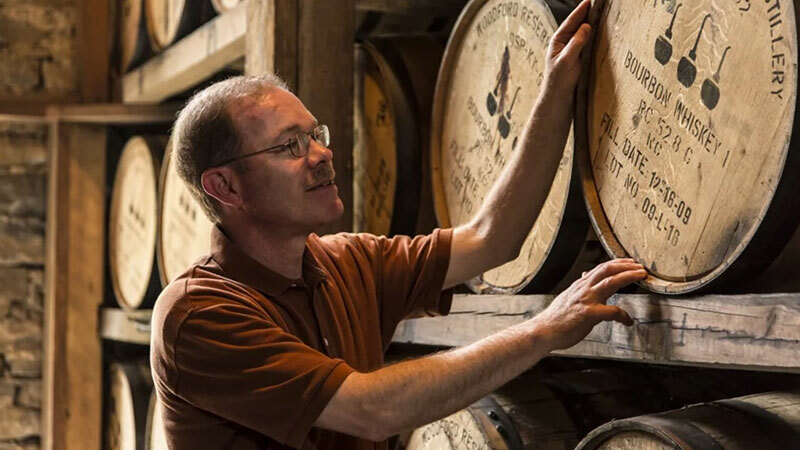 Sources say that Woodford Reserve experienced a record volume of nearly 250,000 nine liter cases and grew net sales by 28% globally in fiscal 2013. For 45 years, “Mr. Four Roses” has been bringing home the bacon for the Four Roses brand and the bourbon industry as a whole. Many older bourbon enthusiasts can remember a time before Rutledge when Four Roses was considered low brow and bottom shelf. He took on the task of turning the brand around with all the might he could muster, serving as a distiller, brand ambassador, and very serious business man all in one. The reward for all his hard work (and one of the best turnarounds in bourbon history) is inclusion in the Bourbon Hall of Fame, Malt Advocate’s “Life Time Achievement Award” in 2007, an award for “Distillery of the Year” at WhiskyFest in New York City in November 2008 and an award for the industry’s “2008 Ambassador of the Year for American Whiskeys.” Today, Four Roses (a Kirin brand) continues to blow bourbon drinkers away. 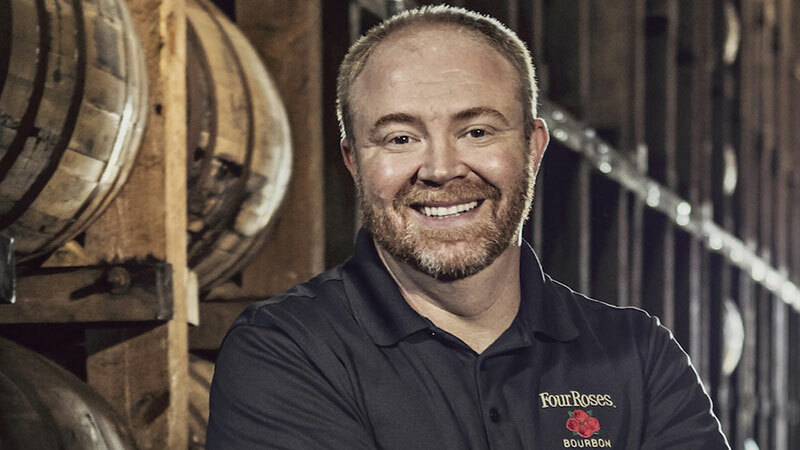 Update: In September 2015, Brent Elliott replaced Jim Rutledge, as the new Master Distiller of Four Roses Bourbon. He has worked closely with Jim for the last 10 years as Director of Quality, helping to select the best barrels of Bourbon at their peak of maturation. Parker has been in the industry for more than 50 years and is considered Bourbon Royalty. He oversees the production of the fine bourbon that has made Heaven Hill the seventh-largest alcohol supplier in the United States, the second-largest holder of bourbon whiskey in the world, the only remaining family-owned distillery in Kentucky, and the largest independent family-owned and operated producer and marketer of distilled spirits in the United States. 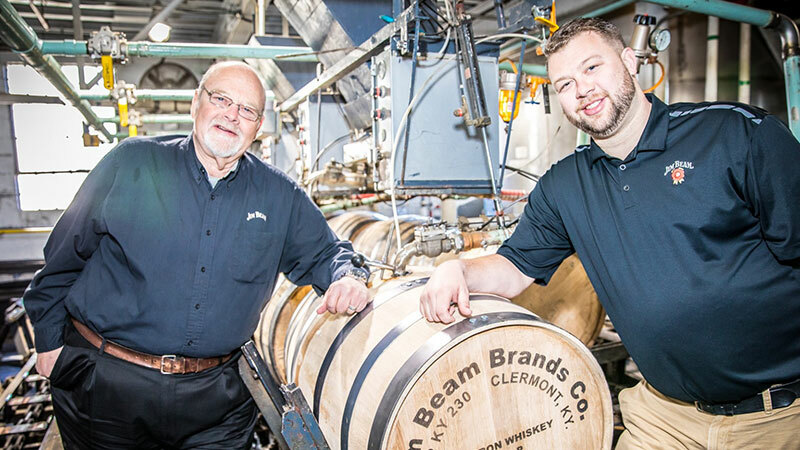 He follows in the tradition of a long and distinguished line of bourbon makers – All of the Master Distillers at Heaven Hill since its founding have been Beam family members; from Joseph L. Beam (Heaven Hill’s original Master Distiller) to Earl Beam (Parker Beam’s predecessor). In 2013, Parker Beam was diagnosed with ALS, often referred to as Lou Gehrig disease. After his diagnosis, Parker launched the ALS Promise Fund, donating $20 from the sale of every bottle of Parker’s Heritage Collection Bourbon to the fund. Parker’s Heritage Collection Bourbon is an annual release that celebrates Parker’s tenure as Master Distiller. The barrels used for Parker’s Heritage are all hand selected from prime locations in the rick house—each with the age and proof Parker feels are just right for such a rare offering.If you would like to support the ALS Promise Fund directly, we encourage you to do so directly at the address provided below.